Summer is here and we love to travel to ‘hot’ places with our families. For example; there is much desert to be crossed to get to the Grand Canyon. No one wants to get caught with the hood up on the side of the road. This tends to raise the temperatures of more than the vehicle. 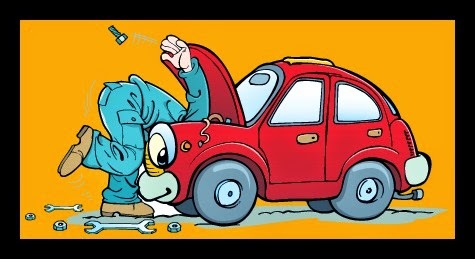 Before your trip we suggest checking your vehicle with a pre-trip inspection. Ideally do this a week or two before your scheduled departure date. Special attention should be made to the Cooling System and the Air Conditioning System. The easiest way for you to determine if your car is cooling properly is to get in the habit of looking at your car’s temperature gauge. This simple act can save you a lot of time, aggravation and money. Take a look at the gauge when it is cold and as it warms up. As you head to your destination take a look while sitting at a stop. If you notice it rising close to the red, safely pull over and stop your car immediately. It is not uncommon for thermostats to fail overnight. When this happens the car will overheat almost instantly. Let’s say your temperature gauge is fluctuating. This could be due to a poor connection or faulty ground wire. When your temperature gauge is riding higher than usual the following should be checked: Radiator cap, the radiator itself for leaks or resistance to flow, all water hoses, water pump, the fan clutch, thermostat, auxiliary fan, etc. The best defense in possible overheating situations is a good offense. Have your car serviced regularly; follow the recommendation of getting coolant flushes every two years. Watch your gauges. Turn off your air conditioner while driving up steep grades. Replacing a bad hose or radiator is much cheaper than replacing a cylinder head or engine block. Cooling System Overview: The cooling system removes excess heat from the engine, keeps the engine operating at its most efficient temperature and gets the engine up to the correct operating temperature as soon as possible after starting. As fuel is burned about one third of the energy is converted into power, another third goes out the exhaust unused and the final third becomes heat energy. Without a cooling system, parts would melt, and the engine's pistons would expand so much they would seize the motor. If the engine runs too cool it is inefficient, the oil gets dirty (adding wear and subtracting horsepower), carbon deposits form and fuel mileage is poor. Also, in some newer cars, this could cause the check engine light to come on.